Do you want a pancake recipe that’s a little different but is big on taste? Then here’s our sweet potato pancake recipe. Mix the cooked sweet potato, grated carrot, flax seeds, almond butter and egg in a bowl. Mash and stir until it becomes pancake consistency. Cook on medium heat on a pan greased with coconut oil. Approximately 3 minutes on each side. 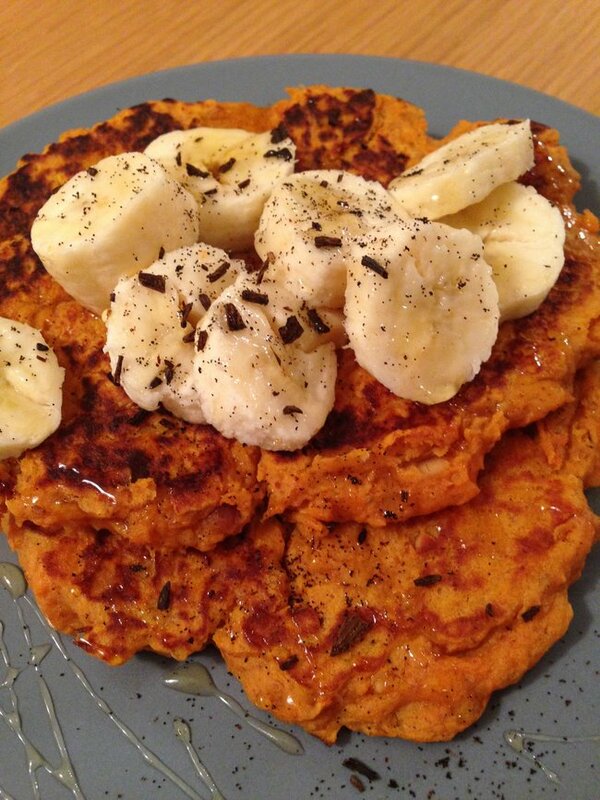 Top with raw honey, sliced banana, cinnamon and vanilla bean powder. If you want a more liquid consistency, mix honey, banana, cinnamon and vanilla bean in a microwave safe bowl and microwave for 15-30 seconds (depending on power of microwave) and pour on top of pancakes.